July 07, 2000, L. & E. Crabo. 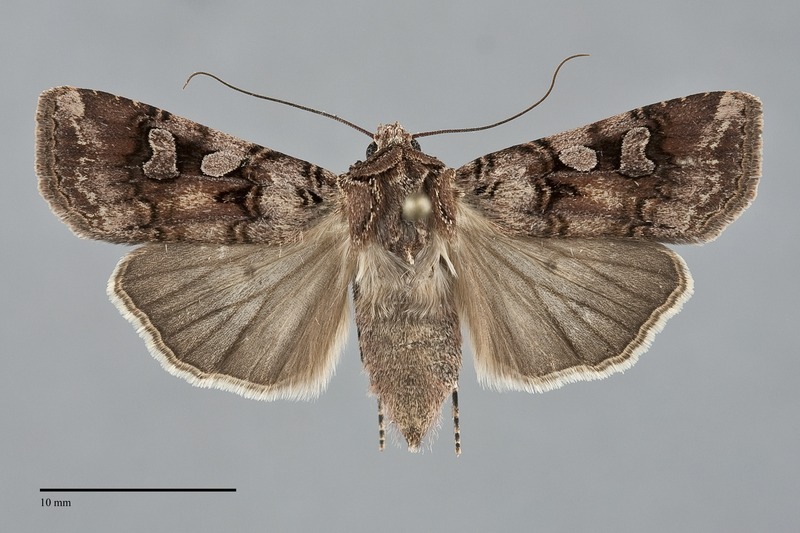 Euxoa lillooet is a small to medium-size Euxoa (FW length 14–16 mm) with a mottled pale purplish brown and darker brown forewing, lightest at the base and filling of the spots, and black-filled cell that flies in dry forests during the summer. The forewing is warm brown or gray-brown, mottled with lighter purplish brown medial to the antemedial line, on the costa in the median area, on the mid-median area, in the distal and posterior portions of the subterminal area, and at the apex. The cell is filled with black. The terminal area is dark gray. The basal and antemedial lines are black, double, filled with the color of the adjacent wing, irregular on the veins. The antemedial line is angled slightly toward the outer margin. The median line is gray, faint, darkest near the costa. The postmedial line is partially double with a stronger black inner component and a fainter outer one, drawn sharply basad on the costa, bent to run close to the outer reniform spot, and then angled weakly toward the base below the cell. The subterminal line is a pale shade of the ground color, slightly irregular with an offset below the apex and a very weak W-mark on the mid-wing. It is preceded by a dark gray shade on the costa and a very weak one on the mid- and posterior wing. The terminal line is dark gray. The fringe matches the terminal area. The orbicular and reniform spots are partially outlined in black. The orbicular spot is moderately large, oval, usually open toward the costa, filled with the same light purplish gray as the adjacent costa. The reniform spot is kidney-shaped or weakly figure-eight-shaped, complete,filled with slightly darker filling than the orbicular spot. The claviform spot is black, moderate-sized, narrow. 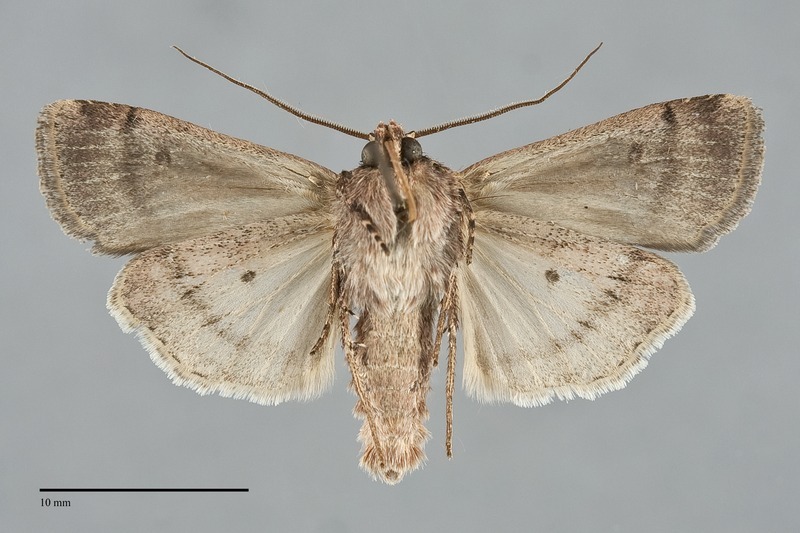 The hindwing is light tan-gray with slightly darker margin, veins, discal spot, and terminal line. The hindwing fringe is white with a gray base. The head and thorax are purplish brown with a black line across the mid-collar. A frontal tubercle is present. The male antenna is weakly bipectinate. 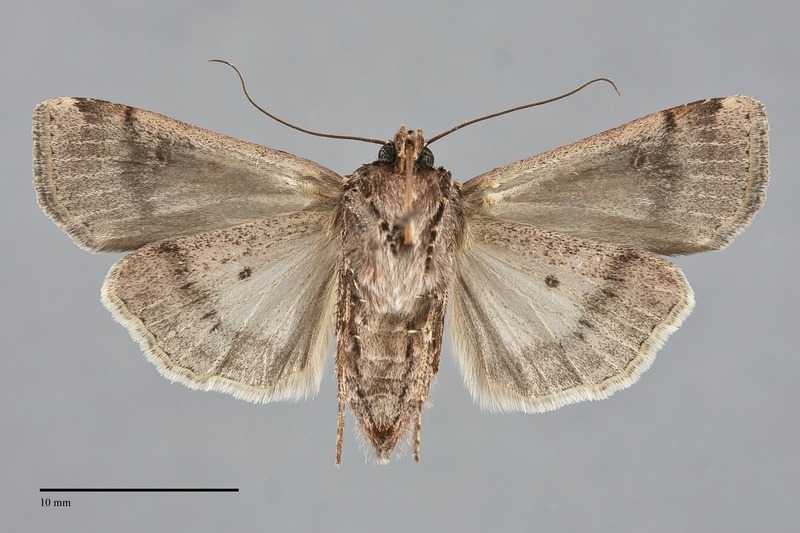 Euxoa lillooet is a member of the large subgenus Euxoa. This species can usually be identified by its mottled brown forewing with pale purplish gray spots, base, and motting . 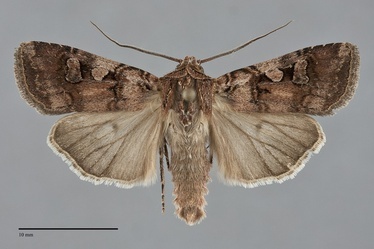 The forewing pattern is similar to that of Euxoa albipennis although the spots of this species are filled with dark gray-brown rather than lighter purplish brown. The hindwings of both sexes of this species differ from those of E. lillooet: those of males are white and those of the females are dark gray with a pure white fringes. As with E. albipennis the forewing pattern of Euxoa declarata and Euxoa rockburnei are similar to that of E. lillooet; however, the spots are rimmed with lighter color and are filled with brown. The type locality of Euxoa lillooet McDunnough is Seton Lake, British Columbia. This species is widely distributed in dry forests. In the Pacific Northwest, it is usually uncommon and sporadic. It is most frequent in dry, open ponderosa pine forests at middle elevations. Euxoa lillooet is found from southern British Columbia at Lillooet south through eastern Washington to the Blue Mountains of north-eastern Oregon. It has not been found in Idaho but is likely to occur there. This species is mostly restricted to the Rocky Mountain region outside of the Pacific Northwest, although a disjunct population occurs in the Black Hills of western South Dakota. The range extends south to northern New Mexico and southern Utah. Euxoa lillooet flies from mid-summer to early fall. Records of this species extend from early July to mid-September in the Pacific Northwest. It is nocturnal and comes to lights.